How Strode College is combining network reliability and authenticated access to bring online resources to its learners. Strode College is an FE college in rural Somerset with around 1,500 full-time 16-18 year olds plus HE students and adult learners. “Our budget is always under review and we don’t have the time, resources or skills to be field experts in all of the technology that we use, so having a good quality, reliable service means a huge amount to us. Shibboleth, underpinned by the Janet Network, provides learners with seamless authenticated access to relevant access the resources they need from home or on the move. Helping leaners who commute on buses for up two hours to and from the campus. Free e-books for FE not only saves the college time by not negotiating digital resources, which would mean they need more staff, but also enables the college to offer a greater breadth of products for learners. 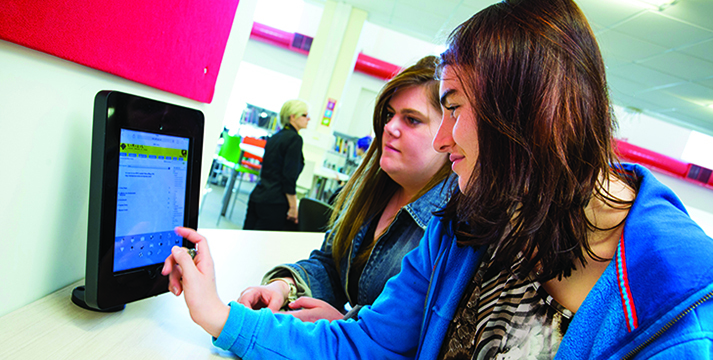 “The fact that we get e-books for FE for free through Jisc is absolutely fantastic! E-books are so much easier from our point of view than a hard copy. See how we're helping other FE institutions with their challenges.